We believe that we offer fun for people of all ages and that with our various attractions, it’s the perfect place to spend time together as family, friends, coworkers, teammates, and more! Whether your a small group or a large one, we think you’ll have a blast. Check out our group pricing rates below. Contact our event coordinator at eventsmidwaygg@gmail.com to book your next outing! For corporate organizations, we offer discounted attraction pricing for groups of 8 or more. Pay us a visit for team building or employee appreciation events! Soccer ball not included—additional $3.00 for soccer ball rental–Feel free to bring your own! We offer the ideal outing for your church or youth group. Our attractions are enjoyed by all ages! We offer discounted attraction options for groups of 8 or more. Come play at Midway with your team or club! Sports teams, 4-H & FFA groups, Scouts & more can enjoy discounted attractions in groups of 8 or more. The perfect location for your field trip or Adventure Club outing, we offer a safe environment for kids to play and enjoy the outdoors. We offer discounted attractions to school groups of at least 8 students. 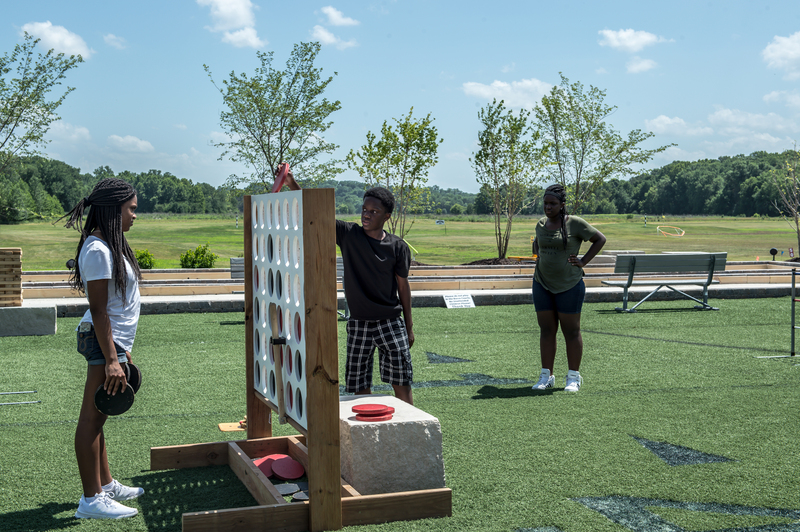 If your family or group of friends is looking for a fun outing, why not come play at Midway? For groups of 15 or more, we offer discounted attractions guaranteeing a full day of fun!